Never fall in love at the Jersey shore. It's good advice rarely taken, at least by the cast of Jersey Shore, all of whom have had the ups and downs of their relationships broadcast for fans of the MTV series for almost a decade now. Some of these breakups were temporary in the end, but all brought the drama, tears and heartbreak to the reality stars' life. Keep scrolling to see some of the messiest splits in Jersey Shore history and remind you to stay away from that cutie in the Karma corner. Although it was Ortiz-Magro that originally declared his intentions to keep his life relationship-free during season one of the MTV show in 2010, it was of course he who fell hard for Sammi "Sweetheart" Giancola. It was this relationship that would dominate much of the storylines throughout the show's run, but the two definitely were toxic to each other throughout. The couple ended season 1 together, but revealed at the reunion that they had split after Giancola saw footage of Ortiz-Magro talking about other women with Mike "The Situation" Sorrentino. "It's done," she said of their romance. One of the less-remembered Jersey Shore romances was that between Nicole "Snooki" Polizzi and Emilio Masella. 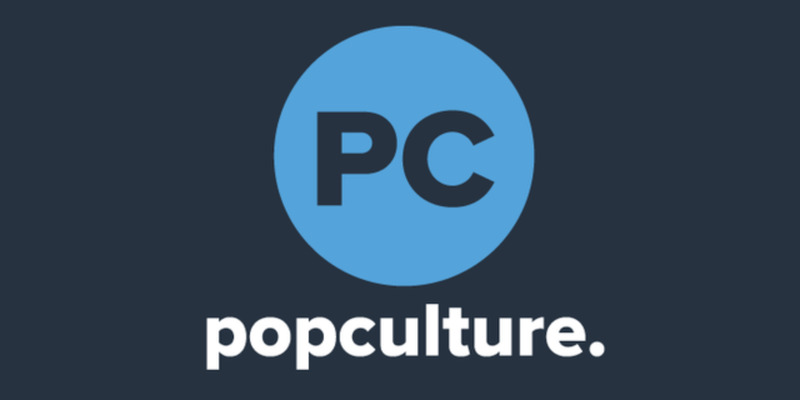 The two dated for only two months, but Polizzi called off their relationship after reportedly suspecting the self-proclaimed "Guido" of using her to advance his career, all while flirting with other women. It was with this is mind that Polizzi left her beau a voicemail letting him know he was single, Masella wrote on Facebook at the time. "All i kno is she was upset i tried out fornreal world nd left me a message sayin im single," he wrote. "Next i kno i wake up [Monday] morning and facebook says im single." Despite starting off season 2 having not spoken since the reunion, Giancola and Ortiz-Magro rekindled their romance, much to the annoyance of Polizzi and Jenni "JWoww" Farley, who had witnessed their roommate getting more than friendly with other women throughout their reconciliation. This, of course, led to the infamous note, which backfired and led to major feuding between Giancola and the women in the house when she chose her relationship with Ortiz-Magro. But after another massive fight, during which Ortiz-Magro threw Giancola's stuff outside, the heartbroken reality star packed her bags and left for home. The two almost got back together before the season's end, that is until Giancola admitted to hooking up with Ortiz-Magro's friend Arvin while they were separated. The two would briefly get back together, break up and get back together during the cast trip to Italy as well, but at that point, most of their castmates were urging them to call off their romance for good. The end of Ortiz-Magro and Giancola's frankly exhausting relationship finally came in 2014, two years after Jersey Shore ended its original run with them deciding to move in together. On Jersey Shore Family Vacation, Ortiz-Magro explained that the final straw in their romance came after he had cheated once again on Giancola. Apart from Giancola and Ortiz-Magro's drama, the other members of the Jersey Shore family were also finding love—and heartache. After appearing together on E! 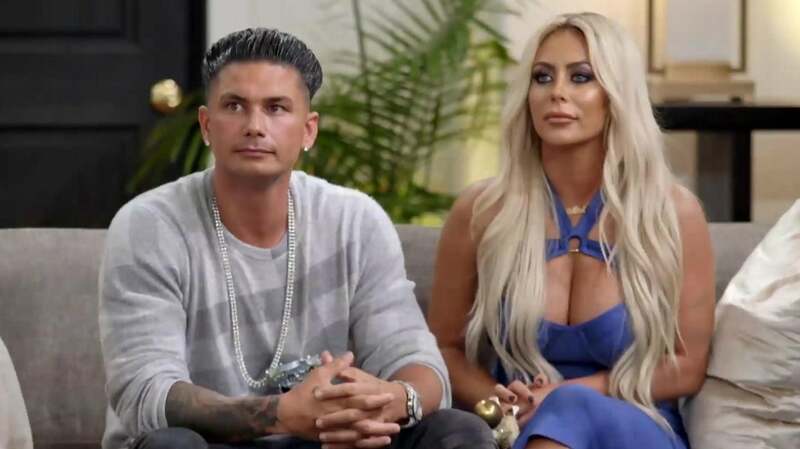 's Famously Single in 2016, Paul "DJ Pauly D" DelVecchio and Danity Kane singer Aubrey O'Day began dating, only to split less than a year later. The relationship itself might not have been overly noteworthy at the time, but on Marriage Boot Camp: Reality Stars, the former Apprentice contestant described their romance as "torturous." "I truly felt like I was involved in a situation that was extremely toxic and I did not understand why or how to get out of it," she told TooFab. DelVecchio, meanwhile, told Page Six of her claims, "I'm like, 'Oh wow, this was a bit dramatic. Torturous'? That's an interesting word. If it was tortuous, why would you stay in a torturous relationship?'" "And I'm the one that left her," he added. "I think that's a little bit fabricated but if that's the way she feels, it's a good thing we're not together anymore." Vinny Guadagnino might not have had any lasting relationships on the original run of Jersey Shore, but the "Keto Guido" certainly entered into the first season of Jersey Shore Family Vacation as a taken man. Guadagnino and model Elicea Shyann appeared to be on good terms heading into the finale, but the two split following the reality star's flirty behavior with a cocktail waitress on the show. Ortiz-Magro's time on the messy breakup list isn't over yet! Going into the first season of Jersey Shore Family Vacation, the now 32-year-old reality start revealed his short-time girlfriend Jen Harley was expecting his child. In season 1, Ortiz-Magro admitted he "crossed the line" with a woman he met at the club while pregnant Harley waited at home, but their relationship really began to pop off after the birth of their daughter Ariana Sky in April 2018. Since then, the two have broken up and gotten back together more times than we can count amid allegations of abuse on both sides. Harley even got arrested after allegedly dragging Ortiz-Magro behind her car during an incident, although no charges were ever brought against the new mom. Last month, Ortiz-Magro shared a photo of himself with a black eye, implying that Harley was responsible for the injury, but the two now appear to be back together, sharing photos of themselves enjoying drinks soon after the black eye photo was shared. This Jersey Shore split came out of nowhere! After first getting together during the original MTV show run, Jenni "JWoww" Farley and husband Roger Mathews announced in September that they were getting divorced after less than three years of marriage. On Instagram, Mathews addressed the split cryptically, but vowed to win his wife back. Since then, the couple has been spotted together during romantic dinners, as well as with the two children they share. Hopefully this breakup won't be one that sticks! Jersey Shore Family Vacation airs Thursdays at 8 p.m. ET on MTV.